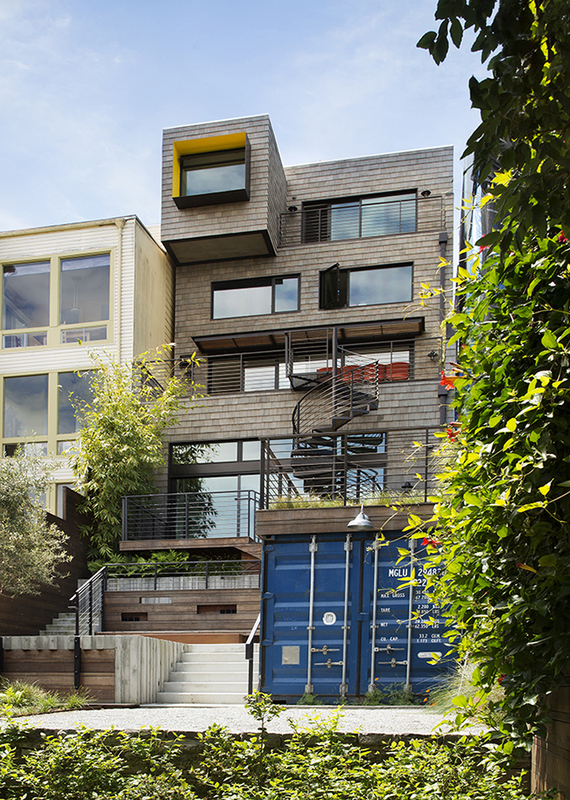 How do you take advantage of a long narrow San Francisco lot perched on the side of a hill? Stack the house and its terraces to celebrate every possible view on all levels, and then tumble it down into the long and narrow lot to connect and ground it to place. 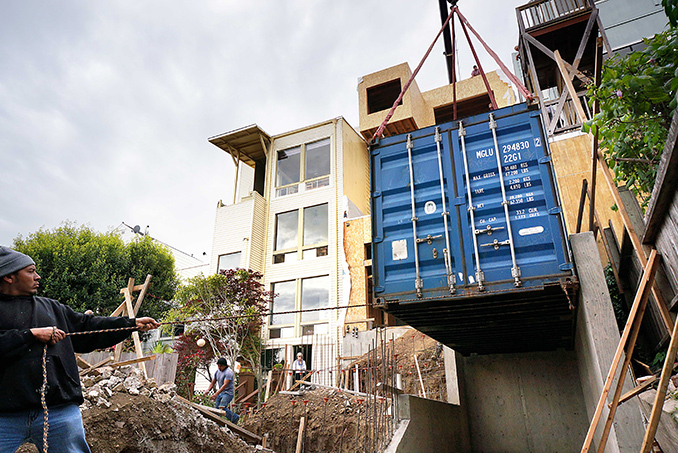 The site was typical to San Francisco: steep and only 25’ wide, but with a double deep length. It was overgrown and unused, with only a single precipitous staircase to connect it to the original home. The clients, a family with three kids, saw the potential for this house and its unusually large back yard. 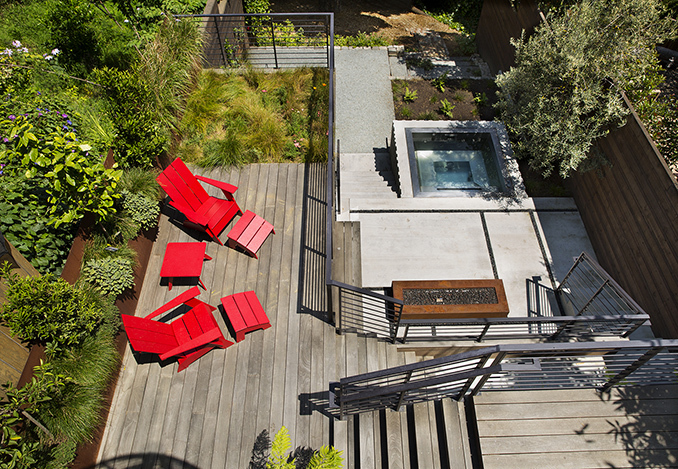 They approached Arterra Landscape Architects and Feldman Architecture to renovate the home and create a strong connection from the house to the back garden. 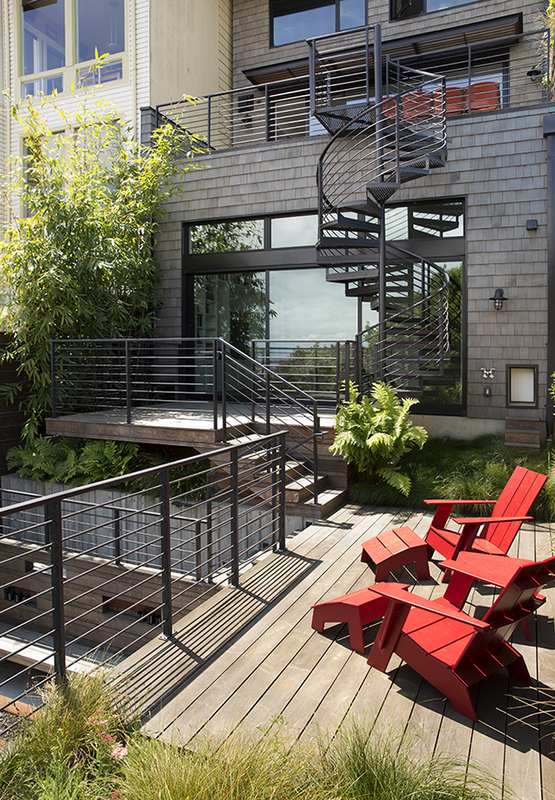 Each terrace in this LEED Platinum home has a unique view and degree of privacy as it soars or is nestled against an edge. 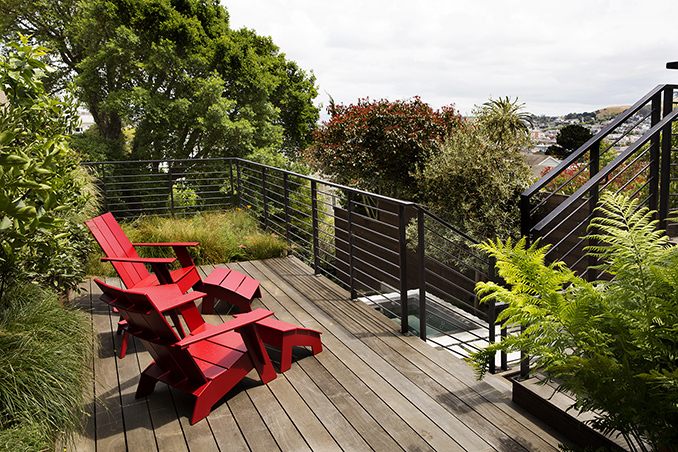 During the extensive remodel, Arterra and Feldman designed each terrace to capture a unique view: from the top deck a wide-angle perspective of the bay, the rolling neighborhood below from the mid-level, and more intimate scale garden spaces at the lowest terrace. 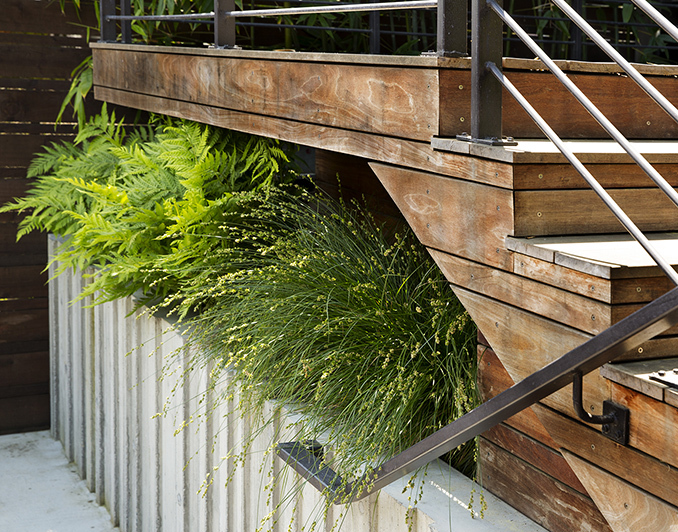 Corten planters create slices of greenery to soften side property lines, provide privacy and frame the view. The ground plane was a blank slate. It needed to be compelling enough to draw people down flights of stairs and away from the drama of the views. 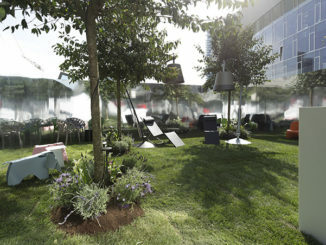 Arterra designed a series of outdoor rooms to support small gatherings, as well as to function together for larger events. 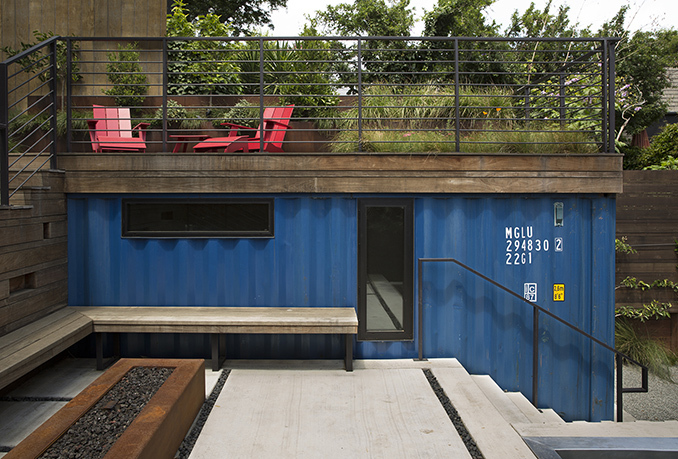 The sitting area and green roof on the shipping container start the progression of spaces down the hill. 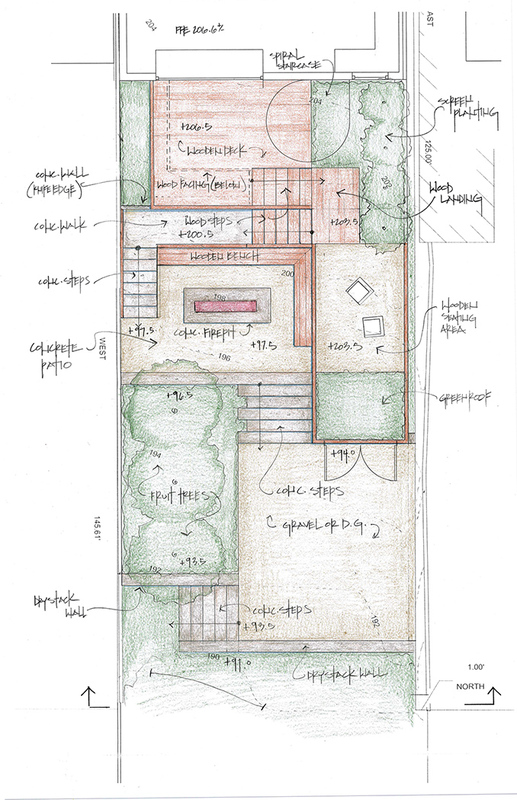 Within conversation range, the next level down is the main entertainment area with a corten fire pit and stainless steel hot tub. Everyone in the family can have their own special spot while feeling connected as they enjoy the garden. The lower third of the property under a preserved cork oak was planned as a wild garden. It is an informal adventure zone for creative play and a spot for contemplative pause. Not many kids can say they can read a book under an oak tree in a San Francisco garden. 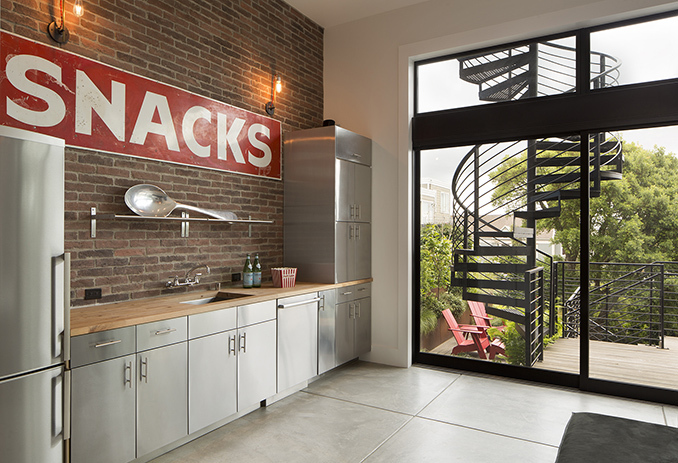 This quiet place is a conscious contrast to the active patios and terraces above. Edges and surfaces are maximized. A continuum of materials from the architecture into the landscape softens the verticality of the building as creates a visual base. 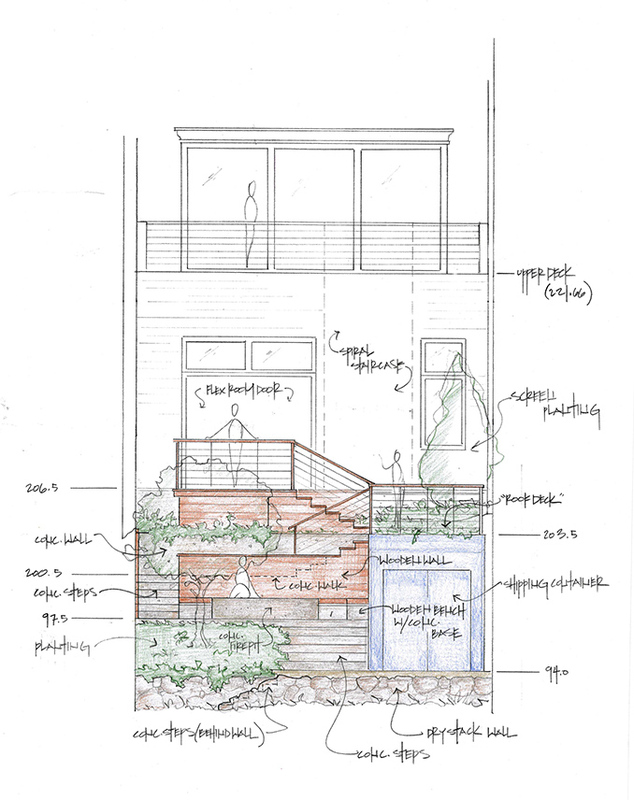 Wood-faced retaining walls transition the mass of the building to the human scale at the ground plane. 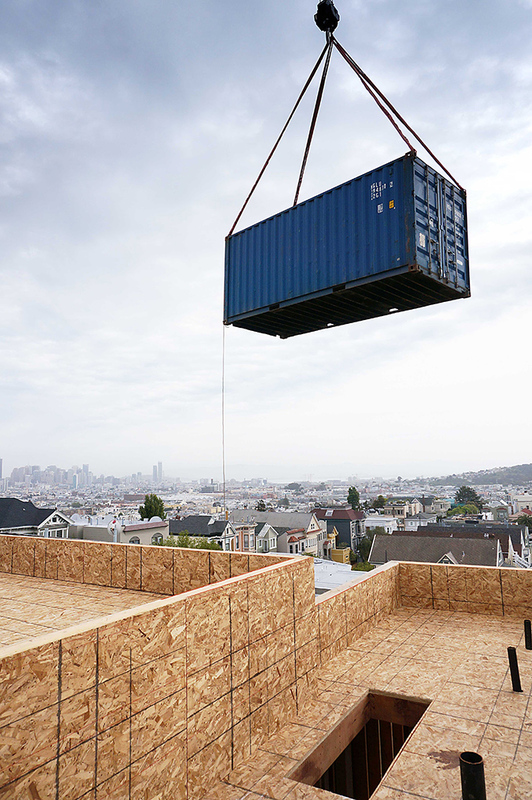 The repurposed shipping container works quadruple duty as extra storage, architectural surfaces, grade retention and garden with its living roof. Edible fruits and vegetables with low maintenance plants round out this composition of intimate spaces that stack together as one. Low-water and drought resistance plants are used throughout. Tucking planting into every corner possible was crucial to the success of the spaces. The green roof of native grasses, wildflowers and perennials introduced greenery at a level easily seen from the house and decks. 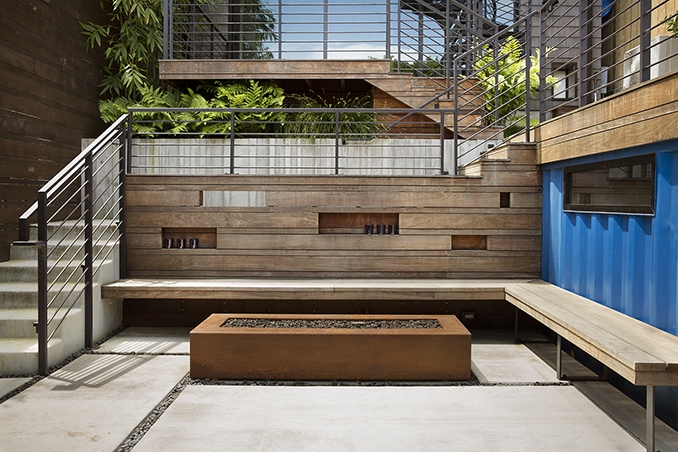 Corten planters were planted for both screening and to provide edible plants. Citrus and herbs are easily picked and brought in for meals. 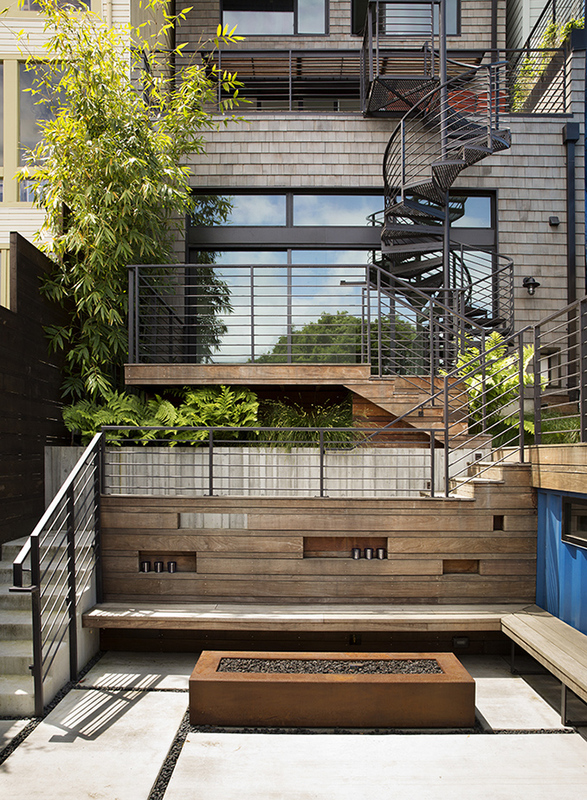 Giant chain ferns and berkeley sedge peek out under the deck to soften the concrete retaining walls and stairs to the fire patio. Espaliered fruit trees, everbearing strawberries and blueberry bushes frame the gravel patio at the shipping container providing the delight of discovery as the fruit ripens. Flowering currant shrubs and native grasses round out the planting palette and create a more natural setting underneath the cork oak at the bottom of the lot.